Women, are you interested in learning new outdoor activities in a supportive environment? 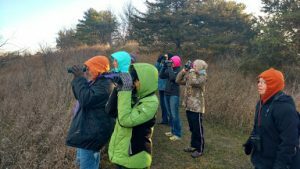 A full slate of activities is on tap for this year’s Women in the Outdoors Event sponsored by the National Turkey Federation and the Lyon, O’Brien, Osceola, and Sioux County Conservation Boards. 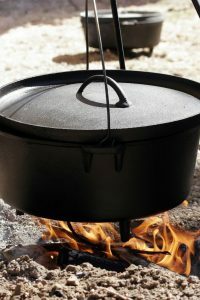 Make a feast in a Dutch oven! 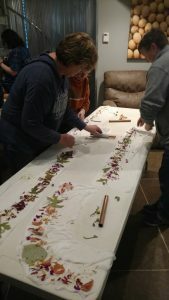 Learn about the process of dying with natural items, experiment with the process, and even take home a sample of your work. Take aim with a cross bow. Try your skill and luck with games played by Native people, and finally take a walking tour to learn about glacial landscapes. All of these activities are covered with a $45.00 registration fee. The fee also includes a National Turkey Federation membership, subscription to the Turkey Federation magazine, and the noon meal. The Women in the Outdoors Event will be held on Saturday, September 8 at the Prairie Heritage Center, 4931 Yellow Avenue, Peterson, Iowa. Registration begins at 8:00 a.m. and the event will conclude at 4:30 p.m.
Advance registration is appreciated. Contact the O’Brien County Conservation Board at 712-295-7200 for more information. Enjoy a day away! Explore new hobbies! What to bring: Dress for an active outdoor day. Don’t forget your sunscreen! Where to go: The Prairie Heritage Center is located between Peterson and Sutherland on Highway 10. Camping cabins are available at Dog Creek Park just a few miles away.